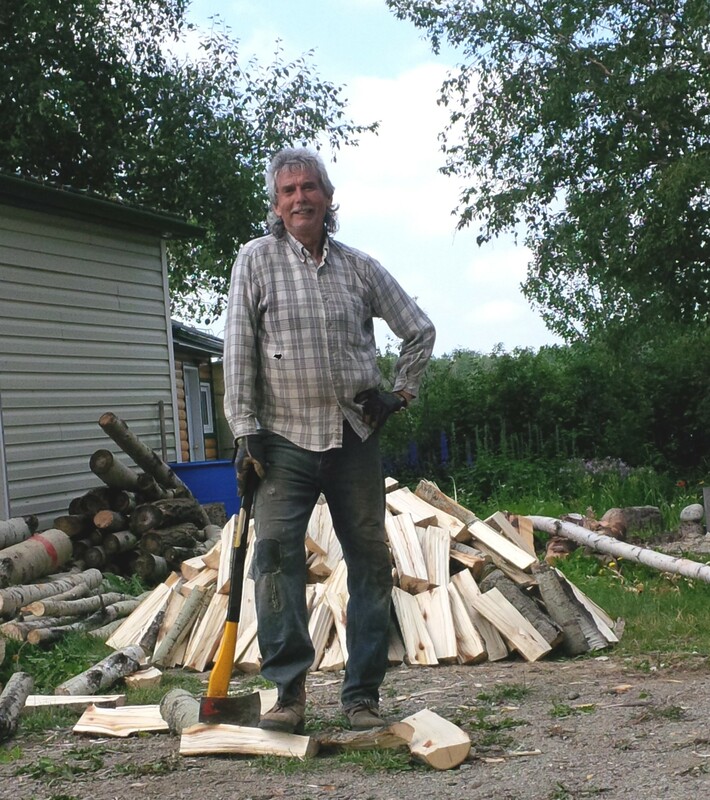 The other day, Ken announced that he would like to build a woodpile like his grandfather used to build. I laughed, because Ken is not the woodpile building kind of guy. He is more chop and split when you need it than stockpile for the future. But, seeing as he had just cut down several trees to provide more sunlight to his cherry trees, he decided to prove me wrong. After much discussion on where the woodpile should go (after all it won’t be ready to burn until the winter of 2015/16) he cut the trees into stove lengths and proceeded to split it all. And I carefully built his pyramid woodpile. Notice how the split side of the logs face outward for faster drying. A thing of beauty to be sure. Check out his lumberjack, mountain man outfit! Not a thing of beauty. This entry was posted in Heating, Home and tagged Building a woodpile, conical woodpile, splitting wood. Bookmark the permalink.